My research investigates the potential causes of the persistent nonsuccess of Latino political candidates in Pasco, Washington’s city council elections. Latinos comprise a majority of the city’s population, yet the city council has no Latino members, and Latino candidates running for the council have met with repeated disappointment in elections. Methods: I began my investigation by analyzing election records accessed through the Franklin County Auditor’s office. Using voter registration lists and precinct-by-precinct election results, I first identified Latino voters by their surnames and then examined how they voted in elections when a Latino ran for city council. 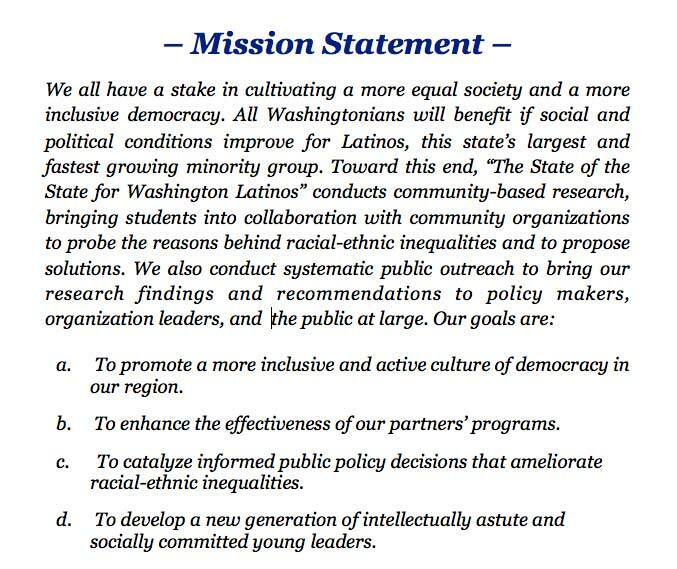 My analysis method was based on reading of the Voting Rights Act and other previous research on Latino voting behavior. Learning from my reading the importance of bilingual election materials in increasing Latino voter turnout, I also interviewed Franklin County Auditor Zona Lenhart and Elections Administrator Diana Killian about their programs. Additionally, I conducted interviews with two previous candidates for the city council, Conrado Cavazos and Joe Cruz. Latinos comprise 56% of Pasco’s population in 2000, but were only 5% of the people who voted in the 2001 elections. Latino voter turnout has almost doubled since 2001. However Latino voter turnout remains under 20%, while Non-Latino turnout has averaged about 49%. There was little evidence in my analysis of racially polarized voting, where voters vote as a bloc for candidates of a shared race or ethnicity. Franklin County administers extensive bilingual election material and outreach programs, in full compliance with the Voting Rights Act, and the increase in Latino voter turnout since their implementation suggests a positive effect. Efforts to increase the number of Latino voters should focus more on education and getting already registered Latinos to voter rather than voter registration. The biggest gap to be filled is the distance between the number of registered Latinos and those who actually vote. Implement alternative election systems, such as cumulative voting or lowering the threshold of the vote required to win an election. Cumulative voting gives each voter multiple votes to cast in a race, allowing them to put all their votes towards one candidate, while lowering the threshold of required to victory to 21%, for instance, would allow the top four vote-getters in a race to win election. Both of these systems increase the likelihood of a minority population being able to elect the candidates of their choice.